Clean stone surfaces with a few drops of neutral cleaner, stone soap, or a mild liquid dishwashing detergent and warm water. Use a clean soft cloth for best results. Too much cleaner or soap may leave a film and cause streaks. Do not use products that contain lemon, vinegar, or other acids on marble or limestone. Rinse the surface thoroughly with the soap solution and dry with a soft cloth. Do not use scouring powders or creams; these products contain abrasives that may scratch the surface.. 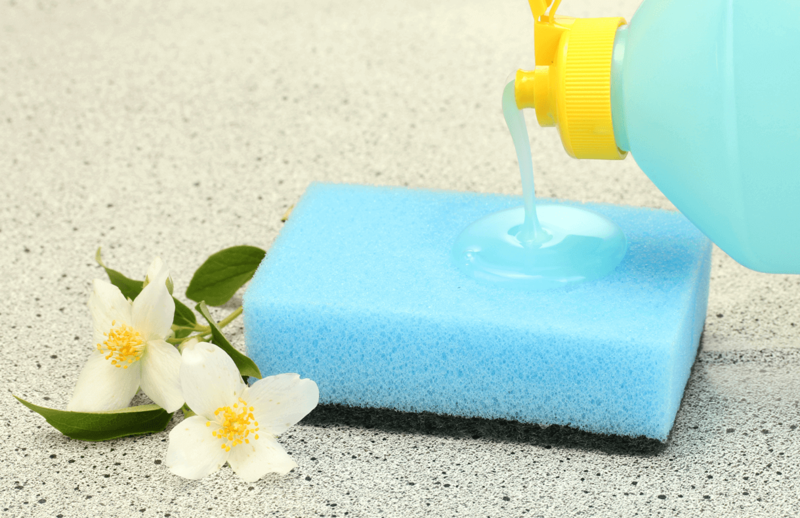 Remove all items on the counter and use the granite cleaner over the entire surface to remove dust and debris that collects around appliances, containers, etc. This serves a dual purpose as it also conditions the stone and helps to maintain its overall luster. Monthly: Temporary polishes can be used periodically to enhance the shine in natural stone and granite. These types of polishes are not for maintenance or repair and they are not what make the counter top shiny. Instead, it “enhances” the shine –similar to waxing a car– improves cleaning and provides a small amount of protection. 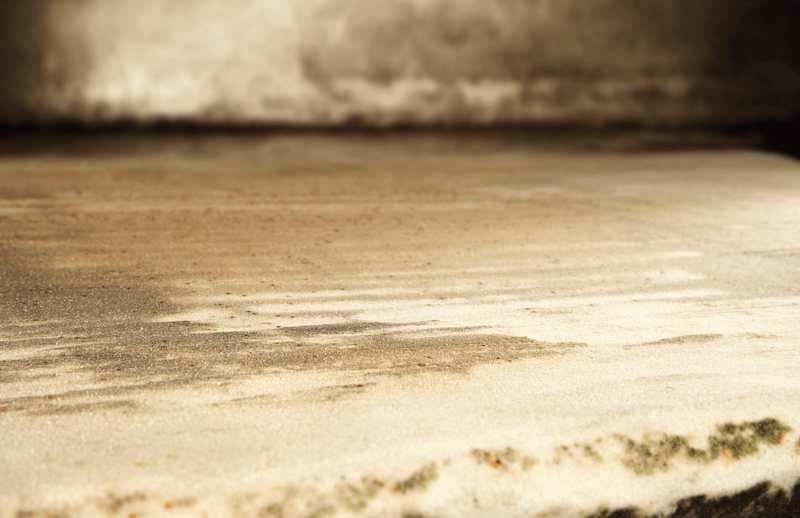 It’s been a year… what do my countertops need? Most granite countertops have a protective resin that makes it unlikely that your countertop needs to be sealed on a yearly basis. You will likely know when it is time to reseal your granite countertops as you will start to see water around the sink darkens the stone instead of beading. This means that the moisture is absorbing and the surface requires resealing. If your countertops look like this… it’s time for new countertops. What cleaning product should I use to clean my countertops? There are a lot of products on the market that are recommended to clean & protect stone countertops. We recommend that you contact your sales rep or one of our specialists for individual case by case advice. As a general rule, an impregnating sealer should be applied to all natural stone. This does not mean that every stone MUST absolutely be sealed and resealed throughout its long life. Many types of granite and other stones never need any kind of sealing. 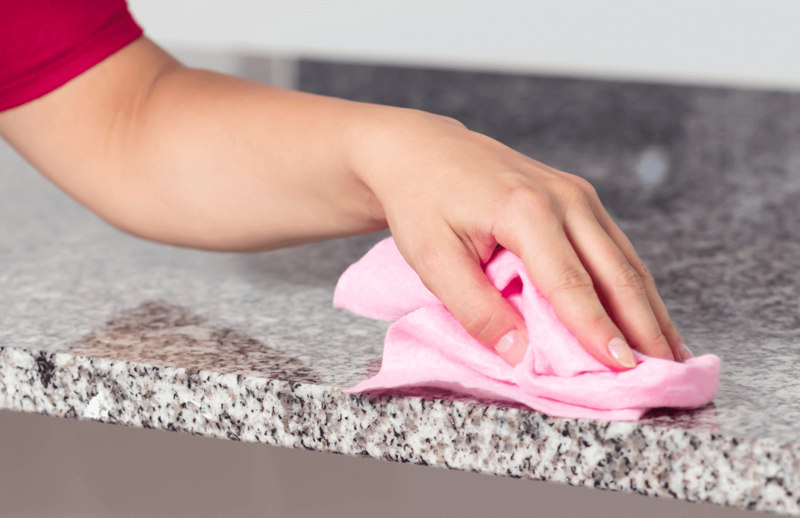 If you wish to seal your granite, make sure you always test any type of cleaner and sealer on a small, inconspicuous area before applying to the entire surface in order to achieve desired results. The easiest way to keep your stone looking great is to avoid bad habits that may damage it. Granite, marble, travertine, limestone, soapstone, quartz and solid surface are similar in many ways, but their differences require varying degrees of maintenance. However, if you utilize the Do’s and Don’ts of granite countertop care and cleaning procedures you’ll eliminate most potential problems. Come experience our beautiful show room in Shawnee, KS. We’re happy to give you a tour of our facility. If you have a quick question, feel free to give us a call. We look forward to introducing you to the quality craftsmanship of Johnson County’s top natural stone fabricator – SCI. Mon.- Fri.: 8:00 a.m. – 4:30 p.m. Sat. : 9:00 a.m. – 12:00 p.m. Please Note: Inclement weather may affect SCI’s Saturday hours of operation. For the safety of our employees, our showroom may be closed. In winter weather events, please call ahead (913) 422-0500 before visiting our showroom. We apologize for any inconvenience. Daily: Wipe off debris with a dry paper towel. After large debris has been removed wipe down entire countertop with either a 1.) Natural stone, antibacterial safe wipe (or) 2.) Natural stone soap and a clean damp paper towel. Note: All countertops should be cleaned with a natural stone soap (pH7) to prevent long term damage to your stone investment. 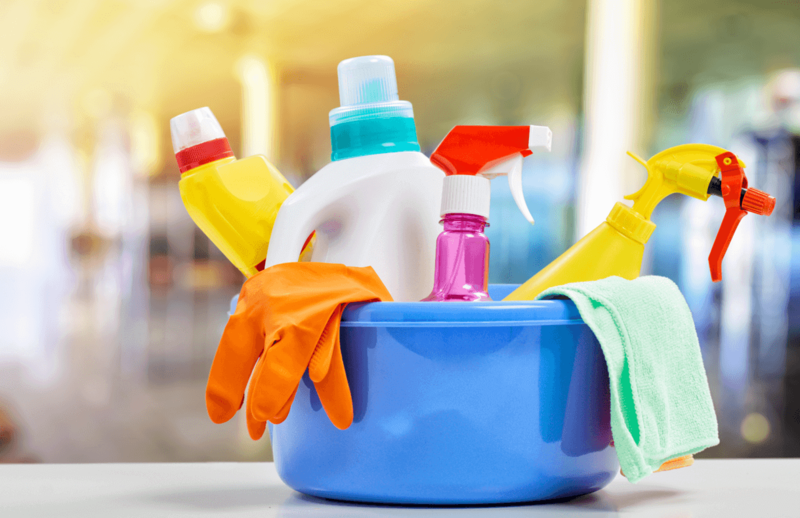 Daily: Keep the surfaces clean; dust them frequently, wipe up spills immediately and wash them with a soft cloth and warm water, using a mild soap, if desired. Copyright © 2018 SCI | All Rights Reserved | Marketologie LLC.